Ready To Launch Your Next Website? Planning your next website and need help making the right impact? Give us a call for a free no obligation consultation with our expert website design strategists right now. "Their programming team came through for us in a pinch when another vendor failed to meet our expectations. They are professional, prompt, fairly priced, and most importantly competent at what they say they do. We have been using them for years to help us with a custom scheduling program we had them build which assists in the continuing education system for all Mercedes-Benz employees brough in through the Alabama Industrial Development Training program." "Their Internet Marketing is the only provable ROI marketing dollar I have ever spent where they showed us the ROI instead of us having to back track to find out if it was ever working. Their solutions work quickly and are followed by systematic reports showing progress. After years of use they are truly one of my few proven marketing systems that work." "Our entire e-commerce operation depends upon them and business is good!" "Their understanding of internet marketing has allowed me to grow my business cost effectively and efficiently. They understand what to do with small amounts of marketing budget and large amounts which has been critical to our continued success over the years." -Joel Foy, Joel Foy Electrical Services. "With very little input the website came out better than I could have imagined, ahead of schedule, and for a very fair price. I am very satisfied and will be working to help other folks in need of a website to find On Call"
"They got my site, the Power PE Exam Guide to position right next to the actual exam itself on the internet! This has paved the way to our success as the definitive guide to passing the Power PE Exam for engineers. Even better, it happened on the time frame they predicted and for a price I could afford. I would recommend them to anyone looking to get seen on the internet." -Alex Graffeo, The Power PE Exam Guide. On Call Computer Solutions is one of the leading companies in the south eastern United States in the field of website design, pay for click advertising, search engine optimization, and social media management. We primarily work with start-ups, small, and medium sized businesses who are looking to grow or establish a presence on the internet. Our company is unique because our website design and internet marketing division is the result of millions of dollars in marketing, advertising, and consulting that we spent growing our business the same way you are now trying to grow yours. In fact, we aren't even a marketing company at all. We're a successful IT Management Company operating in four states that understands marketing and advertising because we do it ourselves... every day. Click here to learn more about how we're different. 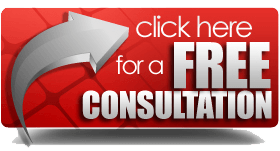 Why a free consultation? Because we don't think you should risk your hard earned money just to find out if we are a good fit for you. Your website and internet strategy is a big deal and not every client is a great fit for us. Our no hassle, no obligation, no - really it is free consultation allows us to get to know each other without any pressure or financial obligation. It also gives us a chance to talk freely about what you are trying to accomplish and whether we believe we can truly exceed your expectations. So go ahead, try us out... we're excited to meet you and learn about how we can help you leverage the power of the internet to accomplish your goals!